Awesome bestseller WordPress theme with more than 1800+ happy customers in the Theme Forest Market place! Be one of them! Gym & Fit theme is built for - Fitness, Sports Clubs, Health Centers, Gyms, Personal Trainers, Fitness Centers and for other health and sport related websites. Selfie is a modern multi purpose, one page WordPress theme that is suitable for all kinds of businesses. Selfie theme gives you the power to create a unique looking website with drag and drop page builder. Selfie theme comes equipped with the WooCommerce plugin, and you can build online shop quickly. Choose from 20+ beautiful website home page designs your favorite and make your fitness web site today! Nothing can be more professional, like this awesome - Massive Dynamic - WordPress theme. Massive Dynamic theme comes with best, advanced live website builder on WordPress. 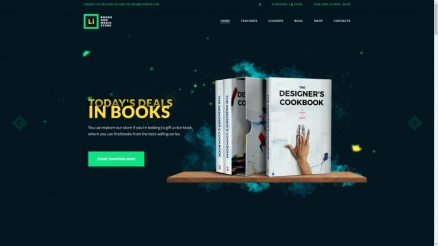 Put together the latest and popular web technologies and the most beautiful design trends Massive Builder is theme what you need! Kameleon is the most awesome WordPress theme, it is designed for multipurpose using. This theme support WooCommerce plugin to help you ready to sale products on your online shop. Theme design improves your customers experience in shopping online. Kameleon - fitness home page dark design, you will love! Wealth is modern and fresh looking multipurpose landing page template. Theme is fully responsive and built with a useful and popular visual composer plugin. Wealth theme will be a good choice for fitness, cross fit, yoga classes weight loss, medical and pharmaceutical, skin surgery, photography studio, car booking, cafe, restaurant, car wash, etc. Just choose your favorite home page version and build your unique fitness home page with Wealth multi purpose WordPress theme! WP MMA WordPress theme is specially designed for fitness, gym, yoga center, sports club, personal trainer, health club or any other sporting related website.WP MMA theme is made in the modern bootstrap 3 grid system, with all modern and attractive features, which is easy to use. You don"t need to be an expert to use WP MMA WordPress theme because the code is very simple. Fitness is a fresh and modern, fully responsive WordPress theme for fitness, gyms, yoga classes and for other health industry related websites. The theme's design is carefully crafted with attention to details, style, and the programming code is clean and well organized. Fitness theme comes with two wonderful and beautiful - Black and White versions. Choose one version and use, or build your individual theme's style for your home page! GymBreaker is a WordPress theme for Gym, Aerobic, Cross Fit, Yoga classes, and Fitness. 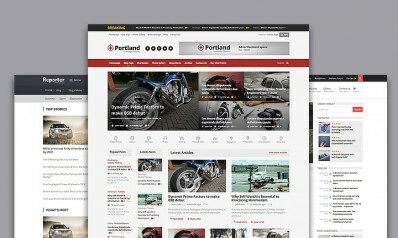 The theme is 100% responsive, build in a Bootstrap framework and comes with all modern features. What makes this theme special? It is the technology that has been implemented in its development, and the theme comes with WooCommerce plugin - if you want, build a modern online shop in just a few minutes. With GymBreaker WordPress theme - everything is easy! Fit & Fab is a WordPress theme that is ideally suited for fitness lowers, gyms, professional trainers, yoga, sport clubs, health centers and for health bloggers. Fit & Fab theme is made with all the popular plugins that are required to build an easy to use website for sport, health, and fitness industry. Try Fit & Fab theme today and feel the POWER! VG Kinggym WordPress theme is made with a clean, simple and minimalist design. Of course that this theme is 100% responsive and retina ready. The theme is full of features, and it has a robust customization option. If you need a simple, light and elegant theme for your fitness web site, then VG Kinggym WordPress theme may be all you need. PURE is an awesome WordPress theme for SPA, Yoga, Pilates, Health, Wellness, Aerobics. 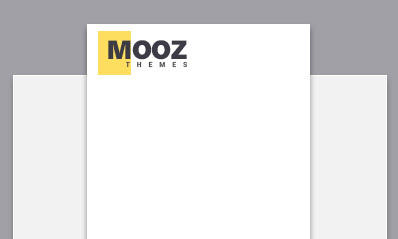 PURE theme definitely will take your business to the next level. Theme design is beautiful artwork, your web site with PURE theme will look gorgeous! FightClub is a professional and modern WordPress theme perfectly suitable for all kinds of sport related websites. With more than 6 awesome home pages you can easily create great website for cross fit, fitness, sports club, bodybuilding, trainers, gyms, yoga centers, sports events, blogs and so on. Theme has a beautiful and clean design, which can be easily varied. Whistle is a lovely, 100% responsive WordPress theme, specially made for sport and fitness industry. Whistle theme is flexible, it can easily encompass other types of business as well as - wellness clubs, yoga classes, health centers, sport event websites etc. Wellspring - a beautiful, light, clean design WordPress theme. Theme is carefully designed and will be good choose for health, wellness and lifestyle web sites. Ironfit WordPress theme is designed with a beautiful, modern and functional design. The theme is perfectly suitable for Fitness, Cross Fit, Gyms, Personal Trainers, Health Centers and other sport and health related business. Ironfit theme comes with WooCommerce plugin, and a good looking online sports store can be built in a few moments. 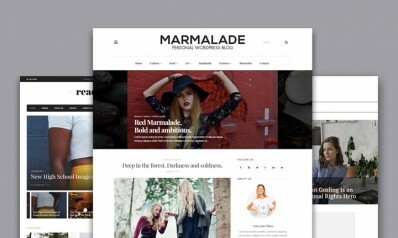 The theme is 100% Retina ready and fully responsive. Meridian Fitness is a beautiful, simple and light WordPress theme with responsive design. Theme is perfectly suitable for feminine gyms, yoga studios, wellness, pilates and other feminine fitness related websites. Meridian Fitness theme is well organized, with clean code and attention to details. Yogastudio - a good looking 100% responsive and Retina ready WordPress theme. Perfectly suitable for any yoga, pilates dance studios, aerobics, fitness classes, gyms, health clubs or meditation classes. The theme can also fit for any Spa, wellness clubs, healthcare or recreation centers web sites. Yogastudio is a beautiful theme with clean code. Yoga Fit - is a beautiful, modern, light and fresh looking Sports, Fitness, Gym, Yoga, Pilates WordPress theme. Theme is fully responsive, and theme is packed with all useful features. Try Yoga Fit today and feel the power! Welldone is a colorful, modern, clean design, minimalist WordPress theme is suitable for sport and health online store. Theme can also be nice for fitness clubs, yoga classes, health centers, pilates, dancing studios, etc. Welldone theme comes with WooCommerce plugin, responsive and retina ready design and much, much more in one awesome theme! 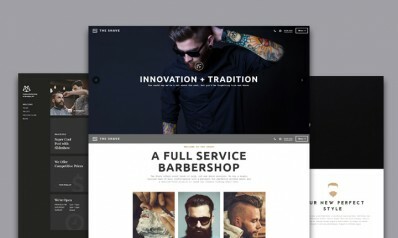 You – a premium, modern and good looking, fully responsive WordPress multipurpose theme. The theme comes with more than 10+ unique home page versions. You definitely will find, what you are looking for! Comet is a responsive WordPress theme with a beautiful, modern and awesome design! The theme is based on Visual Composer, the most greatest WordPress page builder, and Bootstrap framework. Comet WordPress multipurpose theme is suitable for almost any kind of website for example - Agency, Blog, Architecture, Shop, Sport, Corporate, Photography, Restaurant and so on. Comet Personal Trainer home page version you will love! Beautiful, light and so modern WordPress beauty and fitness theme. BnB theme is specially suitable for yoga classes, fitness, dance, pilates, beauty salons etc. Theme is 100% responsive and WPML ready. PRIORITY is carefully designed multi purpose WordPress Theme with more than 10+ unique home page version. Somnus WordPress theme is designed for Yoga, Pilates and Fitness studio, health, wellness businesses. Theme is compatible with all modern features like a - Visual Composer, One Click Demo Install, Responsive design, Contact Form 7 Ready and much more. Megatron is an awesome multi-purpose WordPress theme, packed with all modern and useful features and options and pre built templates. Megatron theme comes with more than 25+ awesome and unique home page demos. Choose your favorite and create your web site with Megatron! Modern, clean code WordPress multipurpose theme. 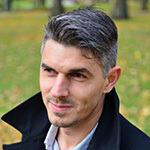 With 14 beautiful home page demos. Theme comes with all modern features like a - Fully responsive, Retina Ready, Powerful short codes, Powered with Bootstrap, Light, Dark and Transparent Menu Bars, etc.